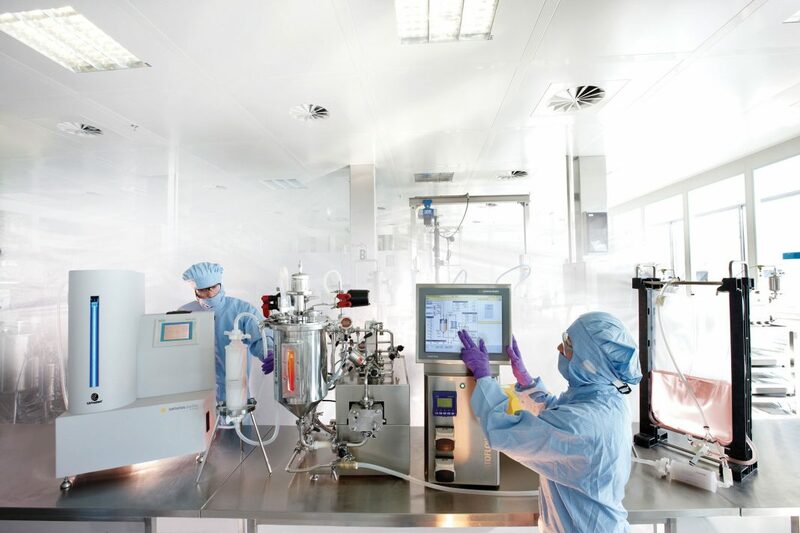 Biologic drugs, which are complex proteins manufactured by cultured cell lines, are coming to dominate the pharma market, now representing 25% of the total. By 2016, biologic drug sales had already reached $232 billion/year. There is no sign that the trend is slowing. Such dramatic sales figures are a reflection of the fact that in many ways biologic drugs are more effective therapeutically than small-molecule pharmaceuticals. Because of their elaborate 3D conformations, biologics can interact with difficult targets that small molecules may be unable to reach. And their greater efficacy may mean that they can command a higher price. But as Spider-Man reminds us, “With great power comes great responsibility,” and there is concern within the industry that costs are growing at an unsustainable rate. Thus, bioprocessing scientists are searching for innovative, cost-effective production options, and a number of experts addressed this issue at Cambridge HealthTech Institute’s Bioprocessing Summit, an event held recently in Boston. Without a systematic approach that accounts for the entire range of variables and their synergies, an investigator may fail to order the relevant factors and determine critical interactions between them. At the event, this issue was addressed by Andrew Sinclair, CEO of Biopharm Services, who emphasized the economic drivers of bioprocessing. “If we go back 30 or 40 years, pharma industry manufacturing costs were around 3–4% of the overall cost of goods (COG); today this proportion has increased to 10–20%,” Sinclair said. “So management of production costs is critical today. To demonstrate the success of his modeling technology, Sinclair cited the case of a client who, working at lab scale, was able to correct shortcomings and avoid an expensive failure at production scale. In a collaborative agreement with Bristol-Myers Squibb, Dr. Müller-Späthe and his colleagues investigated the use of twin column chromatography in conjunction with traditional upstream cell cultivation. “Our overall goal is to improve continuous production in order to generate a better quality product at a lower cost,” he said. In this version of a processing train, two or more column chromatography processes can be joined in series for protein purification of antibodies or other pharmaceutical proteins generated by either fed batch or perfusion culture. Nicholas Trunfio, Ph.D., a research scientist at Sartorius elaborates on the use of multivariate calibration in cell culture monitoring, in which investigators follow the production and transformation of metabolites in order to optimize upstream processing performance. Golden batch monitoring ensures that product quality will be retained. The FDA endorses the quality by design (QbD) concept, which is a set of predefined objectives that emphasize product and process understanding and process control. This concept fits well with the golden batch criterion. He emphasized that successful application of multivariate calibration requires collaboration between biologists and mathematicians. “When you communicate sophisticated mathematical tools, there is always a frustration on both sides, because of the necessity of having to explain these concepts in biological terms. While models are very useful tools, they must be grounded in biological reality, otherwise when applied, they may vary far off base,” Dr. Trunfio concluded. Capital expenditure (CAPEX) is a driving obsession in the biotechnology industry. “If we can increase our rate of production of biologics, then we will require less holding capacity which directly impacts the CAPEX,” said Samir Varma, head of manufacturing and general manager at Enzene Biosciences. To achieve this goal, Varma’s favored approach is continuous processing technology. Although fed-batch technology was for many years the platform of choice, in recent years, the continuous approach has been combined with innovative continuous chromatography technology, such as twin-column chromatography. Reducing complexity is dramatically illustrated when converting a fed-batch operation to continuous perfusion. “Because we can downscale our holding capacity, we can cut the dedicated plant area for that operation from 3000–4000 square feet to one-fifth of that area, or 600–800 square feet,” Varma affirmed. And with continuous processing, Protein A columns can be smaller. “All of these alterations, when combined, can bring down costs substantially.” Under these conditions, the facility can generate 300 L/day, which can then be continuously processed to the final purified biologic product. This means that Enzene can advance its program of making high-tech therapies available to the vast Indian middle-income market. With these cost-saving improvements, Varma anticipates expenditures for a biologic treatment protocol could be brought down to 40% of the innovator’s cost. But Varma believes that over time it would be possible to achieve even more dramatic savings, down to 10% of the innovator’s cost, which would make such treatments widely obtainable.